Tsalala Young Male Comes of Age! 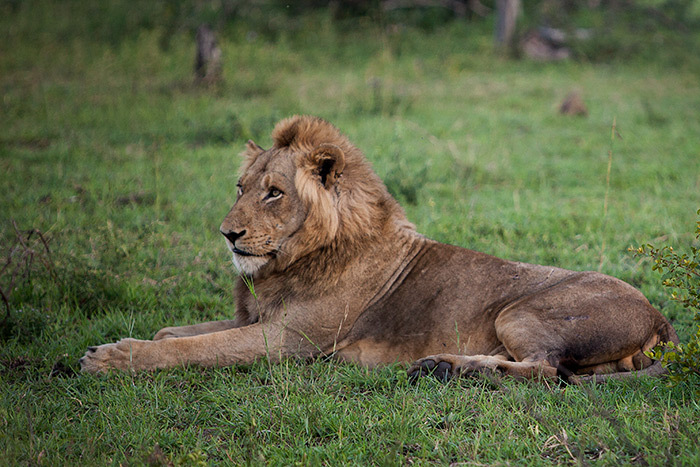 There is trouble brewing amongst the Londolozi Lions. Lion Warfare has taken an unexpected turn in the last 3 weeks with the Tsalala Young Male and his comrade, the Sparta Male, appearing to be hell bent on pushing back into Londolozi. It has been fascinating to watch them move further and further north, on a near daily basis, up into Majingilane territory. They are not only moving north, but they are looking fantastic! They are large males and Solo’s mane in particular is starting to look very impressive. At 7,5 years old, he is a similar age to that of the Majingilanes, but I must admit that I think he is physically larger. The Sparta Male is undoubtably smaller, but even his short mane is starting to look much better then it did a few weeks ago. These two males have pretty much been on the run for the last 2,5 years and have not been able to settle down. They have no pride to hunt for them and have no land in which to call home. They do not scent mark and they do not roar. They are nomads in the true sense of the word! From a hunting perspective these ‘pride-less’ males prove all the textbooks wrong: these males are superb at hunting. In just 6 days we have found them feeding on two buffalo and one zebra carcass. That is a lot of meat. Protein continues to enrich them, fueling them up with confidence and testosterone. Their strategy continues to be the same…for now. They run at the slightest sound of another male coalition. The other night we sat with them as they fed on a buffalo cow. 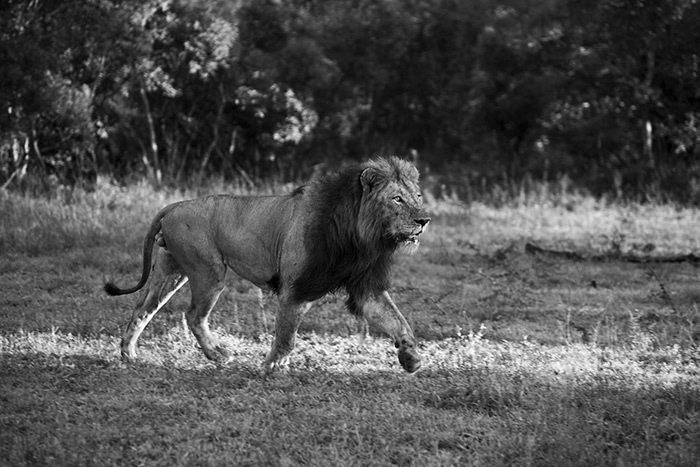 In the distance we could hear the dramatic roars of all four Majingilane Males. These calls prompted the males to feed even faster, guzzling down as much meat as possible. The calls came closer! When the Dark-Mane Majingilane was about 500 meters away, the Tsalala Young Male and Sparta Male decided that was close enough and they abandoned the kill, running fast away from the territorial males. The next evening they were found on a full grown zebra. It was not the subject matter which turned heads, but it was the fact that they were soon joined by one of the lionesses from the Tsalala Breakaway Pride. In a very unexpected moment the Tsalala Young Male mounted this female and mated with her! It left us all wandering if this was perhaps the first time this male had ever mated? Hours later the Majingilane Males heard, via the bush grapevine, that trouble was brewing and they stormed into the area sending the two nomadic males running, yet again, for their lives. So why had the Breakaway Tsalala mated with this male? We don’t know for sure, but that has never stopped me giving my opinion! 1. The Breakaway Tsalala Pride had actually killed the Zebra and the only way the one lioness could ensure she was able to feed on some of her prize was to satisfy the needs of the male in control. 2. The female in question was caught unawares and faced a serious battle with these strong males. She knew that to avoid injury she would need to bow down, at least for a short period. 3. She may already have cubs in the area (a possibility) and the presence of new males in the area means that they would kill the cubs if they found them. Was this perhaps a delay tactic to try buy the cubs time? Perhaps buy time for the Majingilane Males (the fathers) to come to the rescue. 4. Does this female consider these males as real contenders for the area? Is she hoping they will sire the next generation? 5. Is she simply on heat and will mate with any male she finds? The truth is that we do not know…we hope to gain more insight over the next few days and weeks. But, like I said before, we are still all amazed (and proud) that at the age of 7,5 the Tsalala Young Male has finally come of age! on Tsalala Young Male Comes of Age! very nice story. Solo is a very impressive male!! It won’t be good if the four majis catch him and Cleo. I hope they return to safer grounds further south. Has a coalition of two ever taken a pride from a coalition of four? Not likely. Adam, u have one hell of a job. 🙂 Great pics & article.was in KNP in July 2012. First trip. Saw big 5 in one day. 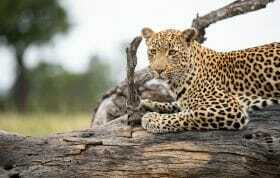 Awesome place KNP is. Hope to b able to visit again. 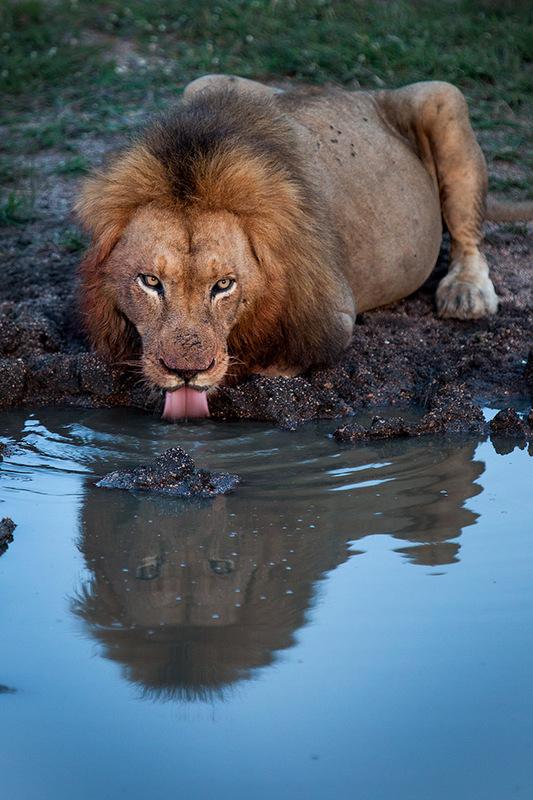 What a great photo of the lion drinking. I have traveled to Africa four times trying to get that photo. I will continue to try. I remember seeing Solo with his brother when he was a cub and his mother was newly injured by the hyenas and her wound was very raw where they tore her tail off. I was not only worried for the lives of the cubs but the survival of the mother. 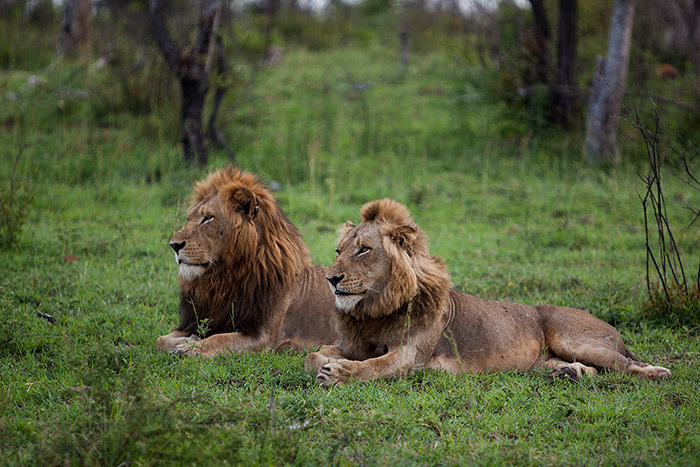 So it is very rewarding to follow these two lions on their journey of life in Londolozi. Thank you for all your updates on these wonderful creatures. There was a third member, easily identifiable by only having half a tail. He went missing earlier this year. Are the 4 Tsalala girls all BB’s granddaughters or are some her daughters ? I wonder what would happen if BB came along, would he try to mate with his mother too ? What a great picture of the lion drinking! The look in his eyes! Realy good! Great story and great photos Adam. Very interesting indeed. NOW SOLO HAS TAKEN THE SOUTHERN PRIDE. 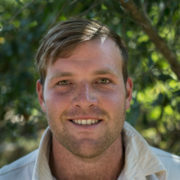 Please keep us informed on Solo and will there be more of Big Cat Diary?? 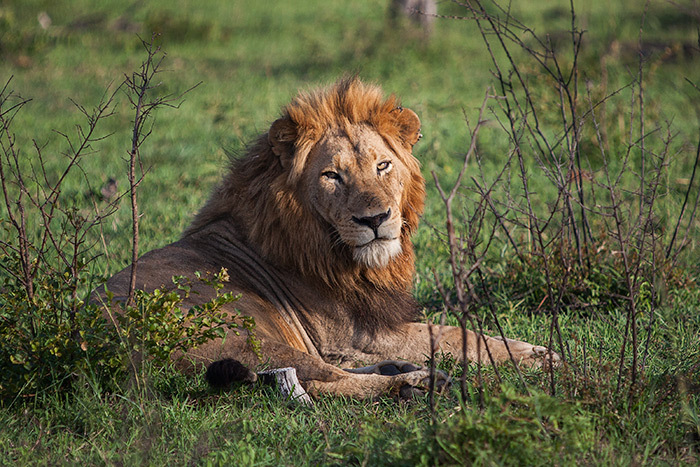 Solo from Big Cat Diary was born in 2000 in the Maasai Mara Reserve’s Ridge Pride in Kenya. Totally different lion. Man, I am fascinated with the past articles about Solo. Do you guys know if he is still around? Saddened to hear that Cleo has passed.